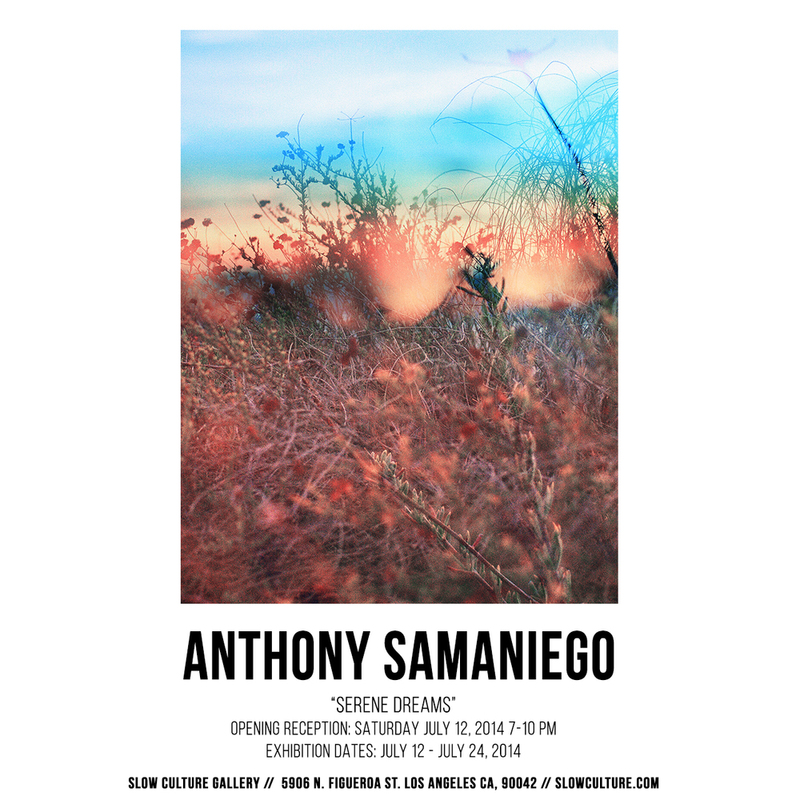 Slow Culture is proud to present “Serene Dreams.” An installation of new works from visual artist Anthony Samaniego. A experimental exhibition combining the artist’s latest works across still photography, .gif’s, and short films. Heavily influenced by a love of music and film, this economics graduate turned artist has crafted a strikingly personal narrative of his Los Angeles hometown. What started out as a hobby photographing nights out, Anthony has literally pushed himself to new heights capturing the city’s landscape through his lens. Primarily working with 35mm and medium format film, the artist is able to manually control his manipulation firsthand. Ignoring contemporary trends of over mega pixeled DSLR’s or faux photoshop film filters; this preferred style of workflow is derived out of necessity foregoing any sort of convenience. 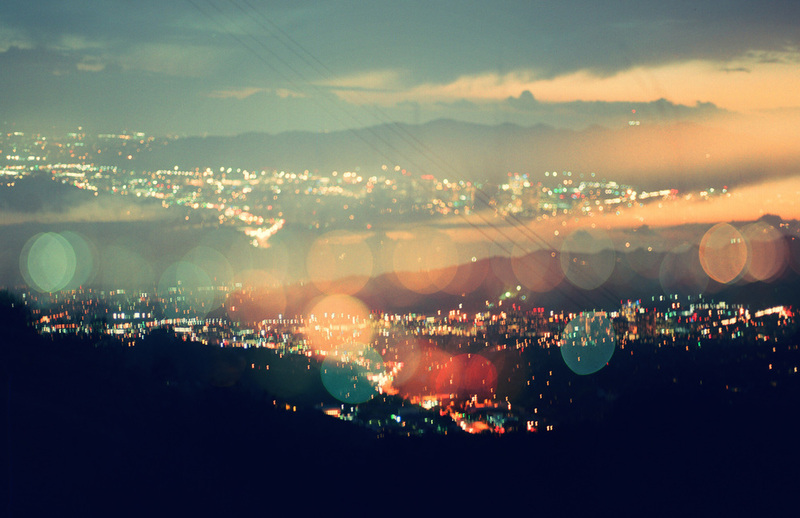 Exaggerated bulbs of bokeh distort skylines to vibrant landscapes of mystique. Precisely executed multiple exposures create geometric cities only engineered in dreams. Colors are crafted through digital techniques purely as aid and not a crutch.